The TTX 44 was originally developed for championship riders but has proven equally useful for serious private riders. Motocross and Enduro is the ultimate test for the Öhlins R&D department with the roughest and toughest conditions possible. It’s close to the heart of Öhlins and it’s where it all started, that is why Öhlins are serious about it. 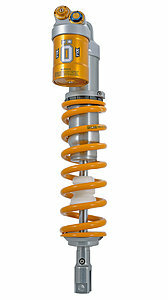 Öhlins MX & Enduro shock absorbers are delivered without spring. The correct spring for the riders weight must be ordered separate. Information regarding the suitable spring series as well as recommendations for the spring rate can be found in the product details and in the mounting instructions. 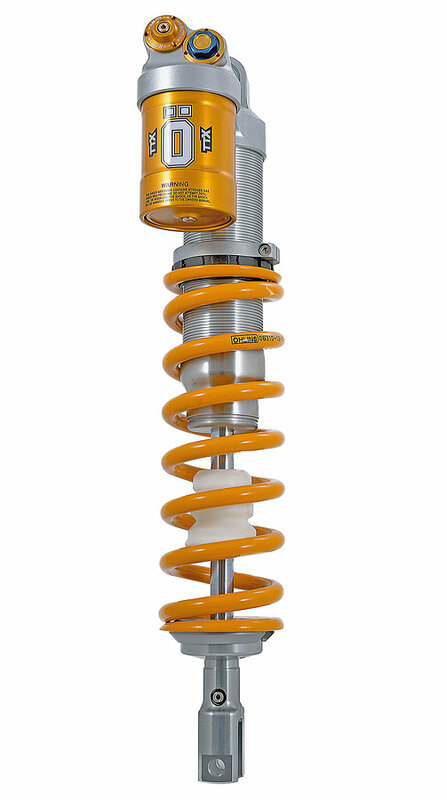 The TTX 44 shock absorber can be upgraded with a dual spring kit. 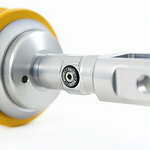 Monotube high pressure gas type of shock absorber with external “piggy back” reservoir. Shock absorber delivered without spring, needs to be ordered separately. Adjustable rebound damping. Allen key above the end eye on TTX44 shocks. Adjustable high and low speed compression damping on TTX44 shocks. Blue/gold adjuster for highspeed compression adjuster; gold adjuster for low speed compression damping.